To make the best use of thermal mass, the building should be designed with this objective in mind. Intentional use of the thermal mass can be either passive or active. 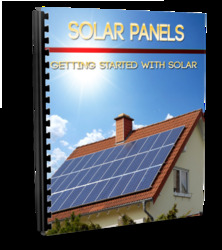 Passive solar heating is a common application that utilizes the thermal mass of the building to provide warmth when no solar energy is available. Passive cooling applies the same principles to limit the temperature rise during the day. The spaces can be naturally ventilated overnight to absorb surplus heat from the building mass. This technique works well in moderate climates with a wide diurnal temperature swing and low relative humidity, but it is limited by the lack of control over the cooling rate. 1. The physical characteristics of the structure. 2. The dynamic nature of the building loads. 3. The coupling between the mass and zone air. 4. The strategies for charging and discharging the stored thermal energy. Some buildings, such as frame buildings with no interior mass, are inappropriate for thermal storage. Many other physical characteristics of a building or an individual zone, such as carpeting, ceiling plenums, interior partitions, and furnishings, affect thermal storage and the coupling of the building with zone air (Kalogirou et al., 2002). • The slower response time tends to moderate indoor temperature fluctuations under outdoor temperature swings (Brandemuehl, 1990). • In hot or cold climates, it reduces energy consumption in comparison to that for a similar low-mass building (Wilcox et al., 1985). • It moves building energy demand to off-peak periods because energy storage is controlled through correct sizing of the mass and interaction with the HVAC system. Thermal mass causes a time delay in the heat flow, which depends on the thermophysical properties of the materials used. To store heat effectively, structural materials must have high density (p), thermal capacity (C), and conductivity (k), so that heat may penetrate through all the material during the specific time of heat charging and discharging. A low value of the pCk product indicates a low heat storage capacity, even though the material can be quite thick. where cp is the specific heat of the material (J/kg-°C). Heat transfer through a material with high thermal diffusivity is fast, the amount of heat stored in it is relatively small, and the material responds quickly to changes in temperature. The effect of thermal mass on building behavior varies primarily with the climate at the building site and the position of the wall insulation relative to the building mass. Thermal diffussivity is the controlling transport property for transient heat transfer. The time lag for some common building materials of 300mm thickness is 10 h for common brick, 6 h for face brick, 8 h for heavyweight concrete, and 20 h for wood because of its moisture content (Lechner, 1991). Thermal storage materials can be used to store direct energy by solar radiation in the building envelope or in places where incident radiation enters through openings in the building envelope. Also, these materials can be used inside the building to store indirect radiation, i.e., infrared radiation and energy from room air convection. The ideal climate for taking advantage of thermal mass is one that has large daily temperature fluctuations. The mass can be cooled by natural ventilation at night and be allowed to "float" during the warmer day. When outdoor temperatures are at their peak, the inside of the building remains cool because the heat has not yet penetrated the mass. Often, the benefits are greater during spring and fall, when some climates closely approximate this ideal case. In climates where heating is used extensively, thermal mass can be used effectively to collect and store solar gains or to store heat provided by the mechanical system, allowing the heating system to operate during off-peak hours (Florides et al., 2002b). The distribution of thermal mass depends on the orientation of the given surface. According to Lechner (1991), a surface with a north orientation has little need for time lag, since it exhibits only small heat gains. East orientation surfaces need either a very long time lag, greater than 14 h, so that heat transfer is delayed until the late evening hours or a very short one, which is preferable because of the lower cost. South orientations can operate with an 8 h time lag, delaying the heat from midday until the evening hours. For west orientations, an 8 h time lag is again sufficient since they receive radiation for only a few hours before sunset. Finally, the roof requires a very long time lag since it is exposed to solar radiation during most hours of the day. However, because it is very expensive to construct heavy roofs, the use of additional insulation is usually recommended instead. The effectiveness of thermal mass also increases by increasing the allowable temperature swing in the conditioned space (without the intervention of HVAC systems), so the mass has the opportunity to charge during warm hours and discharge during cooler periods. The performance of thermal mass is influenced by the use of insulation. Where heating of the building is the major concern, insulation is the predominant effective envelope factor. In climates where cooling is of primary importance, thermal mass can reduce energy consumption, provided the building is unused in the evening hours and the stored heat can be dissipated during the night. In this case, either natural or mechanical ventilation can be used during the night, to introduce cool outdoor air into the space and remove heat from the massive walls and roof. To model the complex interactions of all envelope components, computer simulations are necessary. 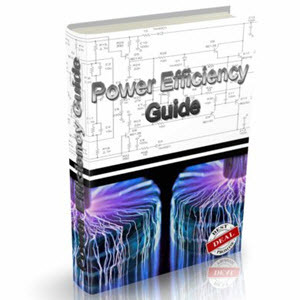 These programs account for material properties of the components, building geometry, orientation, solar gains, internal gains, and HVAC control strategy. The calculations are usually performed on an hourly basis, using a full year of weather data. Numerous models have been devised in the past to simulate the effect of thermal walls (Duffin and Knowles, 1985; Nayak, 1987; Zrikem and Bilgen, 1987). FIGURE 6.4 schematic of the thermal storage wall. Also, a number of modeling techniques have been used to estimate the heat flow through a thermal wall. A simple analytical model was suggested by Duffin and Knowles (1985), in which all parameters affecting the wall performance can be analyzed. Smollec and Thomas (1993) used a two-dimensional model to compute the heat transfer, whereas Jubran et al. (1993) based their model on the finite difference method to predict the transient response, temperature distribution, and velocity profile of a thermal wall. The transient response of the Trombe wall was also investigated by Hsieh and Tsai (1988). How to use a "thermal wall"? 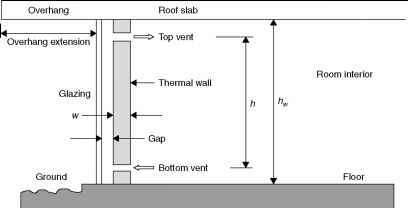 How roof store heat thermal mass?